Enjoy the bay of Naples in an incredible way!!! 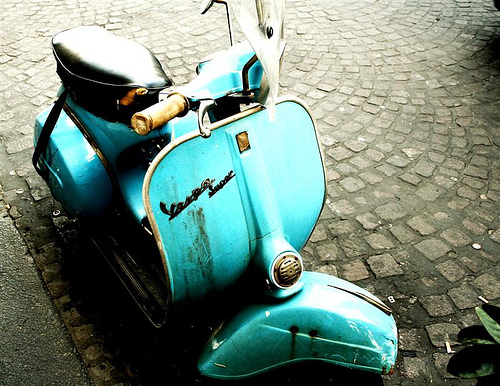 When you are in Naples will have many things to do, but one thing you definitely do not miss is a ride on a Vespa. Naples is a city rich in history, art and tradition and visiting aboard a Vespa can give you the opportunity to appreciate the details as a real Neapolitan. If you’re in short trip and you expect to get more from it, take advantage of our Vespa Tours. For those who want to travel slowly while discovering small villages and towns (such as the city of Naples, Sorrento, Positano, Amalfi, Pompeii) observing nature and experiencing the most hidden spots, a Vespa is the way to go. Touring Campania on a scooter creates images of freedom, simplicity and ease. Vespa is the ideal friend for who travels to unknown places at the perfect speed, slow enough to let riders enjoy the views and to stop in a little square for a coffee break. Two wheels will give you the freedom to see exactly what interests you, and in less time. To really “do as the Neapolitans do“, you have to go around on a Vespa avoiding the traffic jam and crowded tour buses. You’ll see much more of the city than you could ever see on your own. Moving on a Vespa gives you the opportunity to make the most of your available time, hassle of traffic and parking. You can also enjoy the wonderful views that the city has to offer. You can stop to eat a wonderful pizza in typical restaurant or pizzzeria or you can taste an ice cream or the legendary Neapolitan coffee. The Vespa (which means “wasp” in Italian) was the result of Enrico Piaggio’s determination to create a low cost product for the masses. As the war drew to a close, Enrico studied every possible solution to get production in his plants going again. A motor scooter was produced, based on a small motorcycle made for parachutists. The prototype was nicknamed “Paperino” (the Italian name for Donald Duck) because of its strange shape, but Enrico Piaggio did not like it, and he asked Corradino D’Ascanio to redesign it. And so the Vespa was born. Piaggio sold some 2,500 Vespas in 1947, over 10,000 in 1948, 20,000 in 1949, and over 60,000 in 1950. 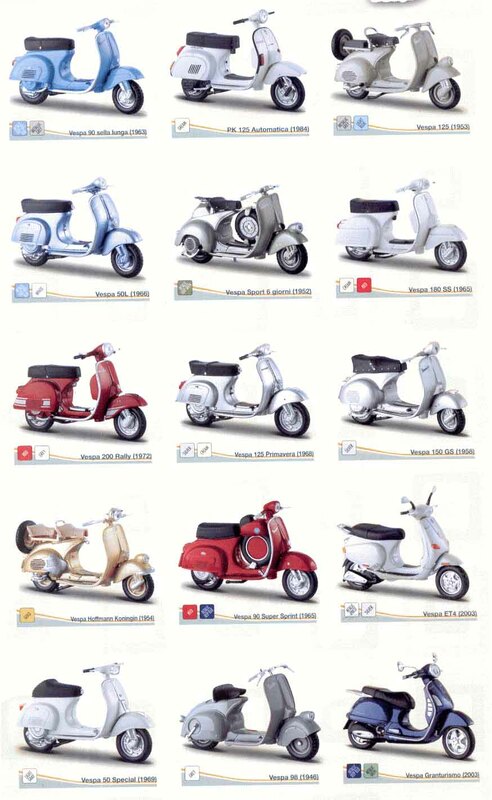 When Vespa celebrated its 50th anniversary in 1996, more than 15 million of the scooters had been sold worldwide. 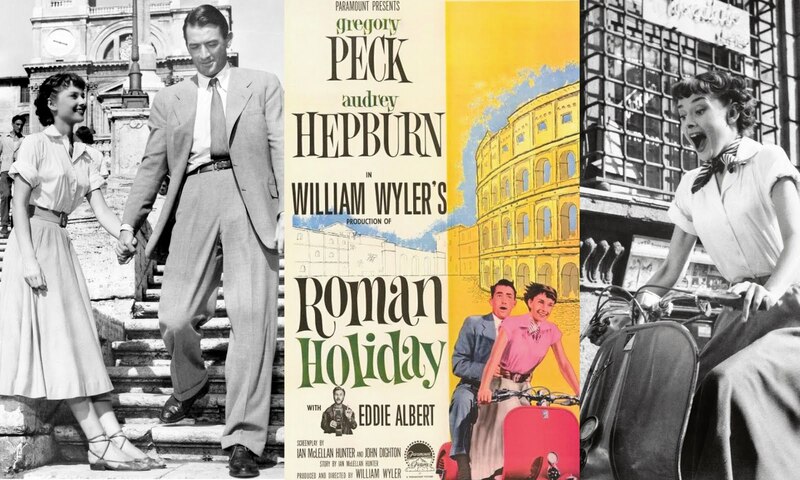 The Vespa made its movie debut in 1950 and became a worldwide status symbol with in 1953, with the famous sequence of “Roman Holiday”, where Audrey Hepburn and Gregory Peck go through the Rome traffic on a Vespa. Many actors and actresses sat on the Vespa over the last six decades, in myriad films, comedies, dramas, action movies. The vespa tour waiting for you..
Our drivers with the Vespas will pick you up at your accommodation at the ports or wherever you are and then they’ll bring you around for the duration of the tour and will drop you off back at the starting point. One of the drivers is a tour guide and he’ll give the clients explanations about the monuments and sites that they will meet on the rout. This entry was tagged Amalfi Vespa tour, Naples, scootering, transportation, Vespa, Vespa Italy, Vespa tour. Bookmark the permalink. VespAround invites you to enjoy the bay of Naples in an incredible way!!! Discover marvelous places with the best two wheels ride of your life!